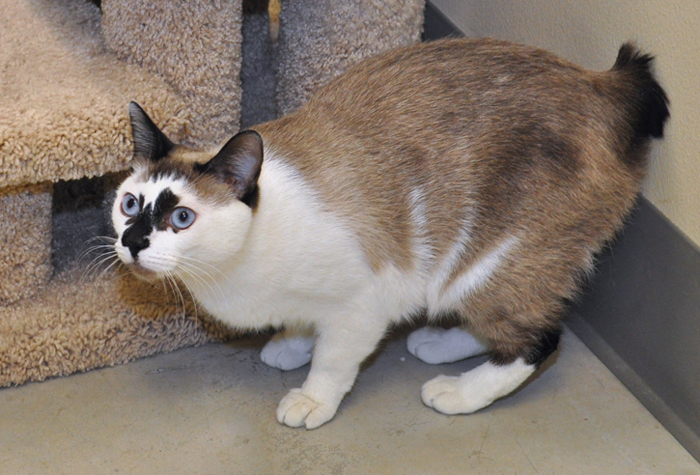 Sweetie is a blue-eyed and gorgeous two-year-old Japanese bobtail/Siamese mix. 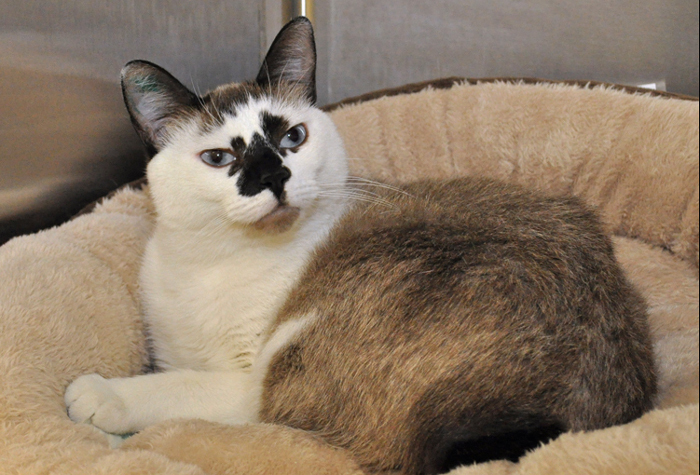 She is a quiet, gentle, and curious lapcat who “loves to be petted and loved on”. She is in need of an indoor home with no other cats.